Graphics & Media Lab CMC of Lomonosov Moscow State University has about 10 years' experience in comprehensive analyzing of compressed video. 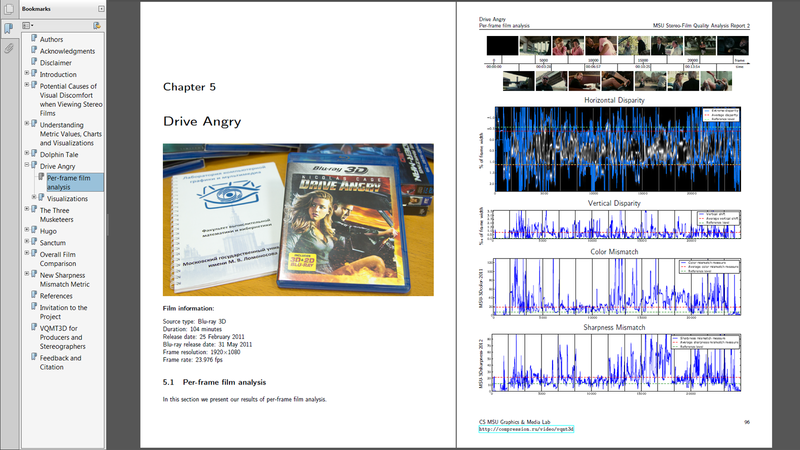 In March 2013 Graphics & Media Lab (in cooperation with IITP RAS) has released its first report on stereo films quality assessment. 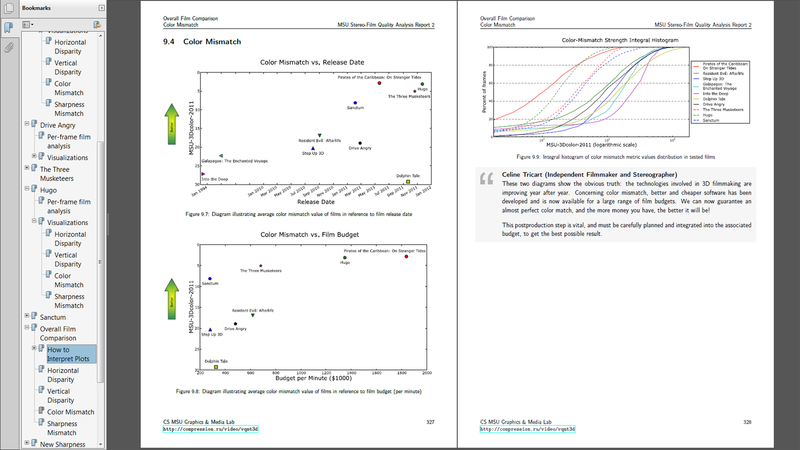 This first report presented our evaluation results and overall quality comparison of 5 stereo films. 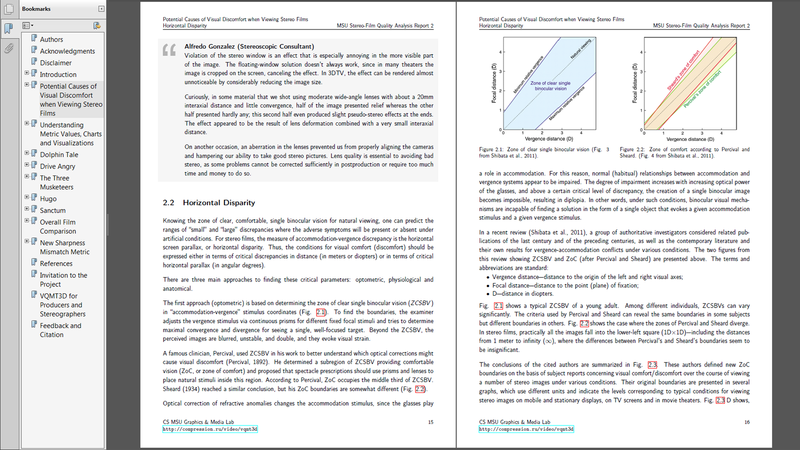 We've got a lot of positive comments from professional stereographers on our first report and were encouraged to continue the work on stereo film evaluation. 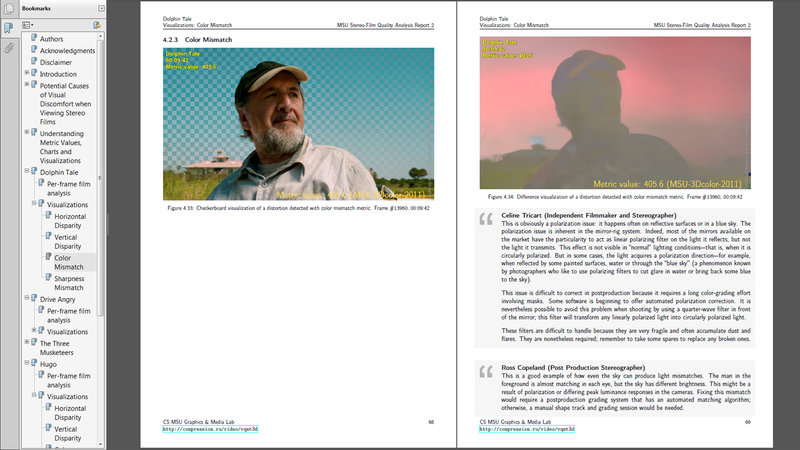 We are planning to publish in the 2nd half of 2013 another three reports and invite the stereographers for cooperation. 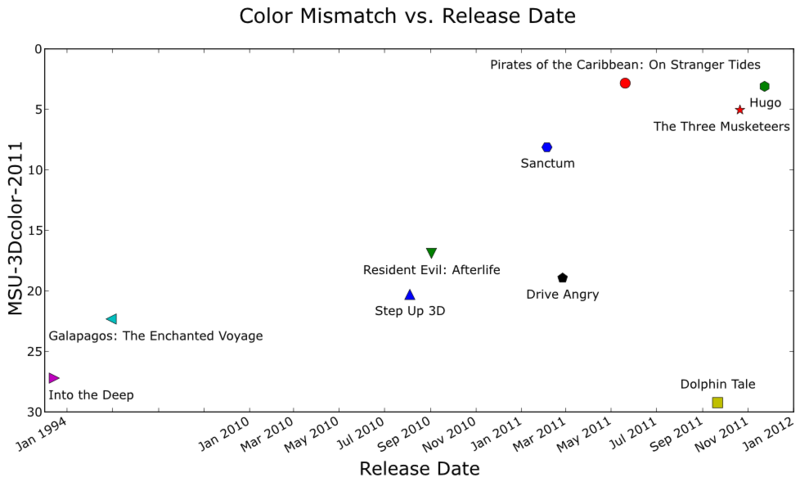 In the overall comparison of the examined films we compare 3D movies from the 1st and 2nd reports, altogether 10 films. 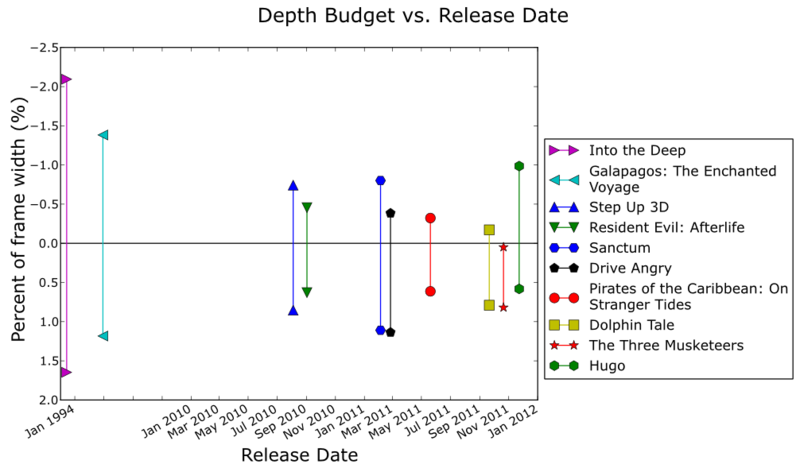 Take a look at the depth budget (see the Image #2): 3D films created in 1994 have a big depth budget; the movies from 2011-2012 years have a big negative parallax. 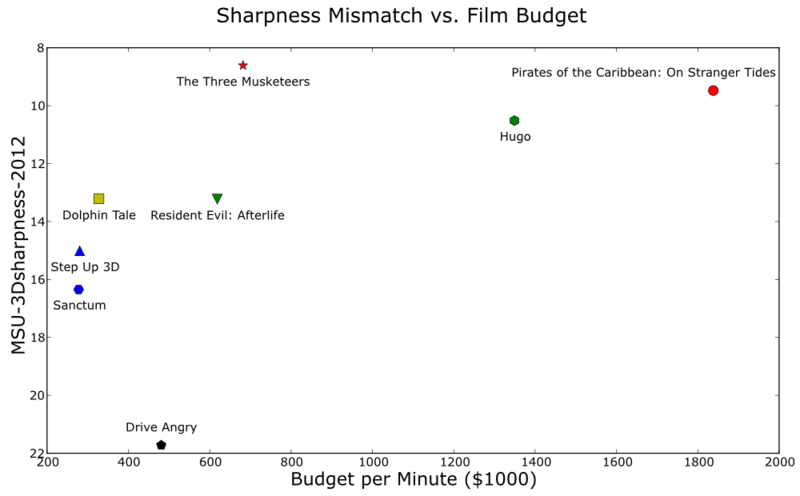 'Hugo' has a lot of objects before the screen, on the contrary, in 'The Three Musketeers' all objects are behind the screen. 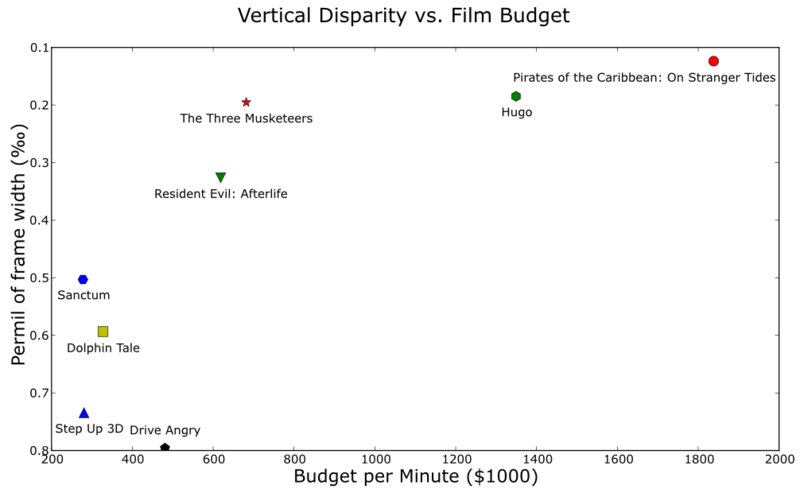 It's noticeable that all the recent films ('Hugo', 'The Three Musketeers', 'Pirates of the Caribbean') have a good vertical disparity. 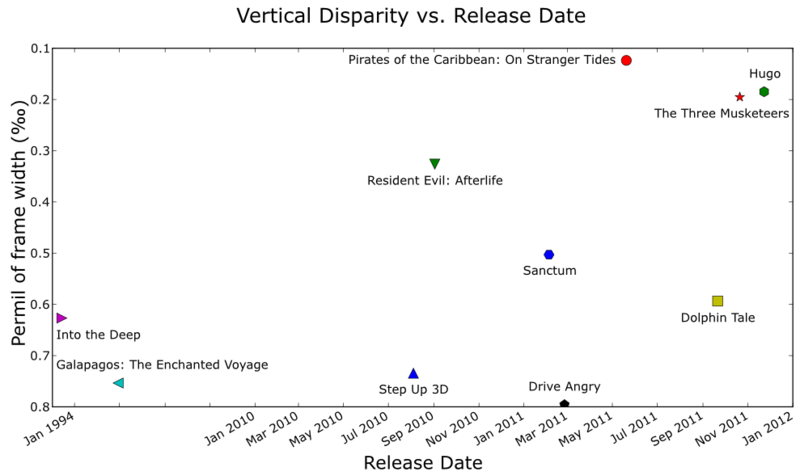 It means, that the situation is getting more and more better with the lapse of time (see the Images #3 and #4). 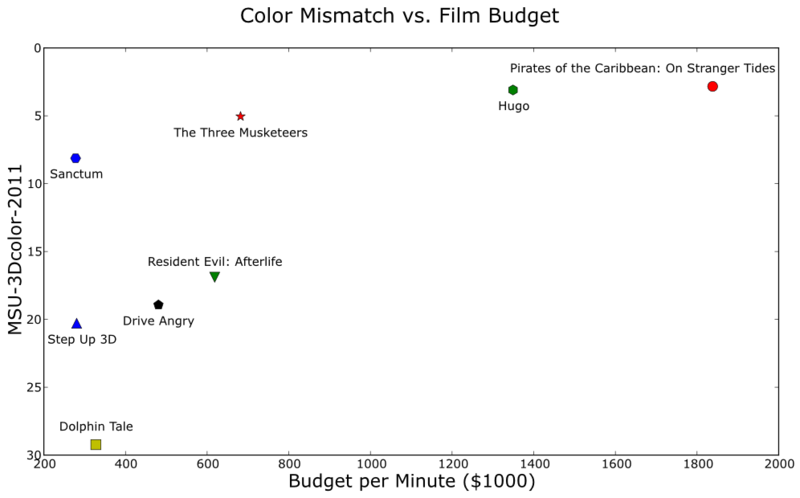 According to the Images #5 and #6 the films 'Hugo', 'Three Musketeers' and 'Pirates of the Caribbean' have the best color measures. 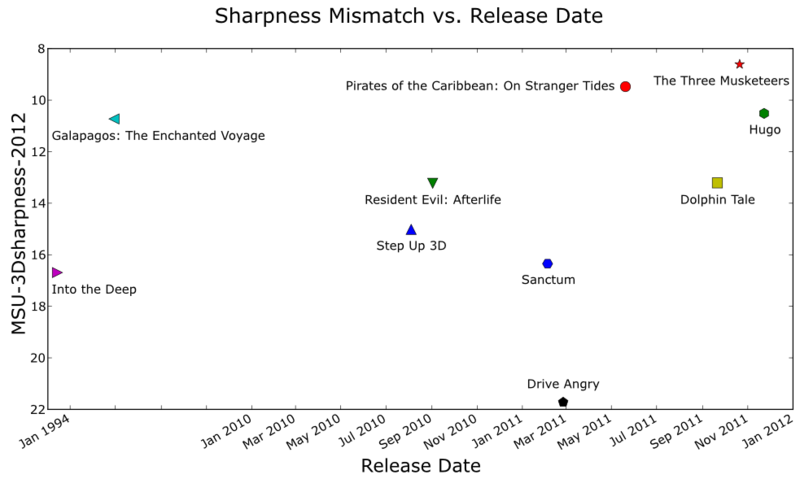 Image #7 shows a good trend of improvement in the last years: the films 'Hugo', 'Three Musketeers' and 'Pirates of the Caribbean' have a minimal sharpness mismatch measures in comparison with the other evaluated movies.